Let's get together and explore the power of female mentorship. 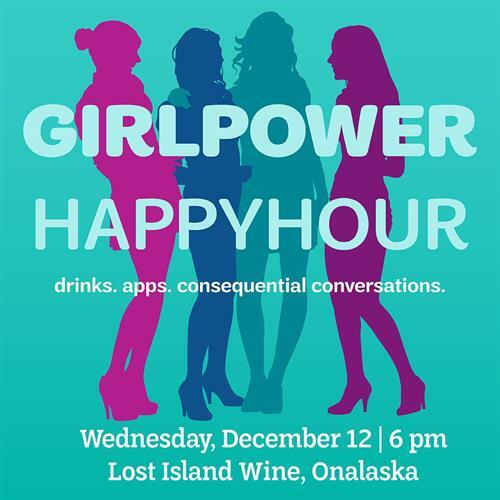 GIRLPOWER Happy Hour features drinks, tasty appetizers, prizes and - most importantly - lightly guided conversations about the incredible challenges girls face coming of age today. Share your own story of how female role models impacted you or simply drink in the stories as we learn the true impact...and import...of mentoring our sisters. The evening convo is guaranteed to enlighten, inform and inspire you. Did we mention, the drawings? Fun stuff for free including an ooooh-la-laCoach handbag! *One drink ticket per registered attendee. Cash bar available.